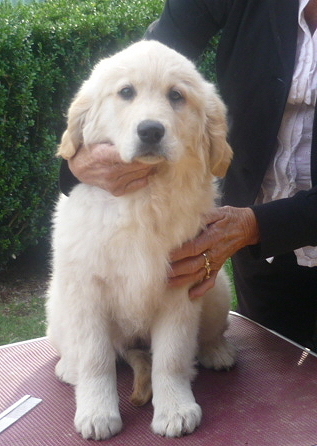 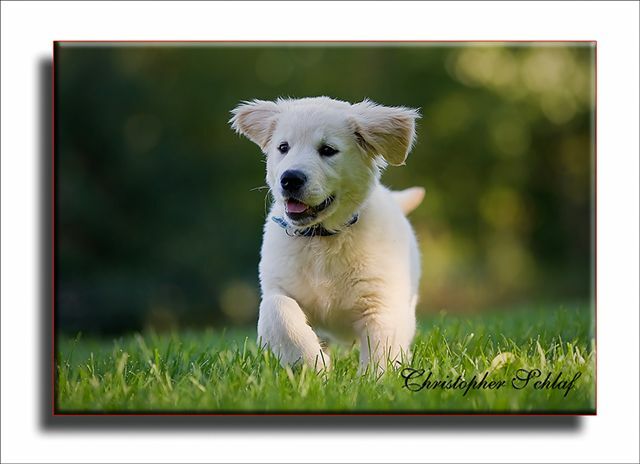 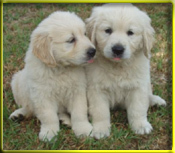 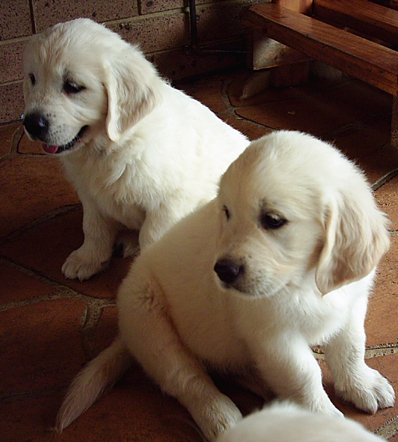 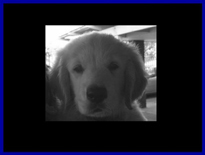 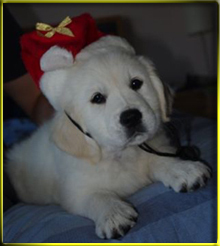 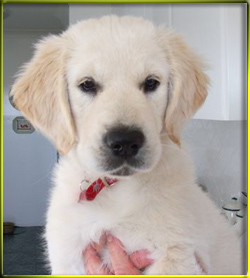 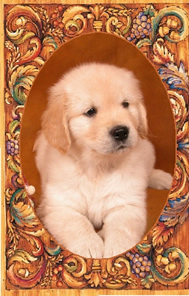 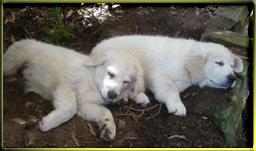 GOLDEN RETRIEVER Puppies due September 2016., ready to go to new homes end of November. 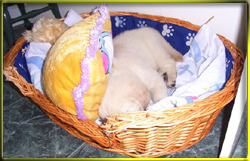 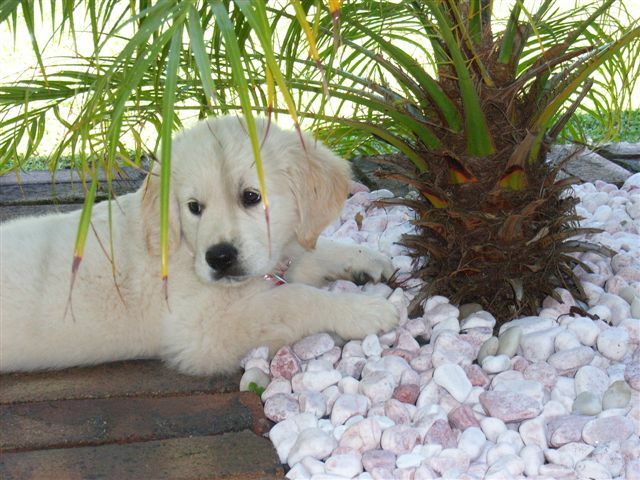 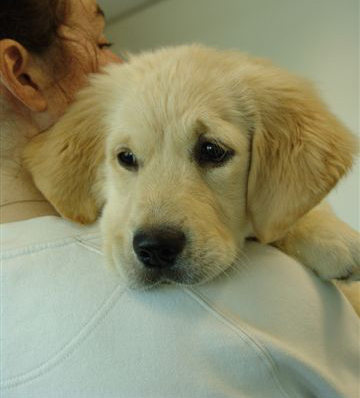 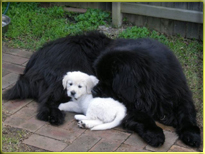 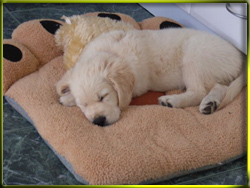 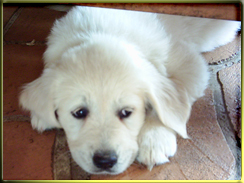 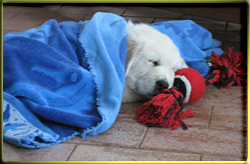 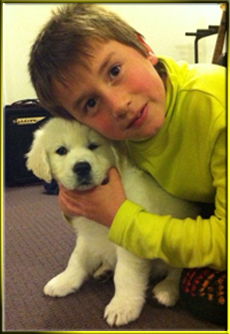 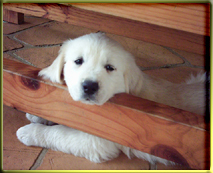 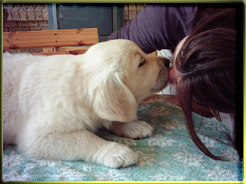 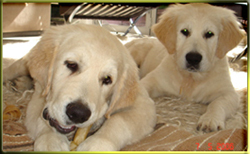 Our puppies are reared with love and attention and well socialized in our home. 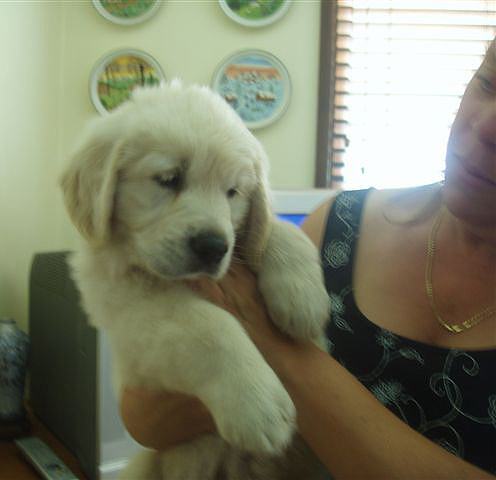 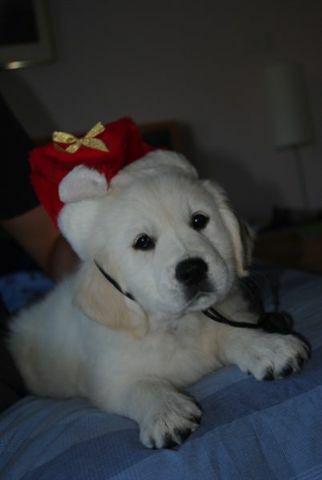 We welcome puppy enquiries. 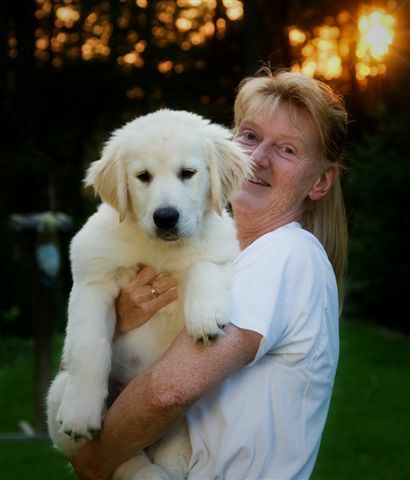 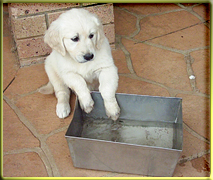 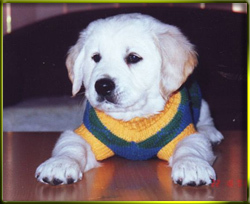 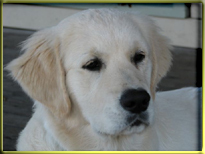 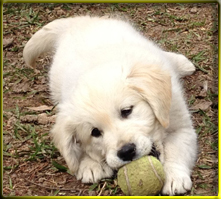 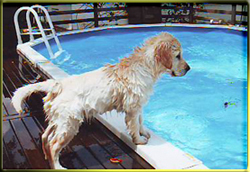 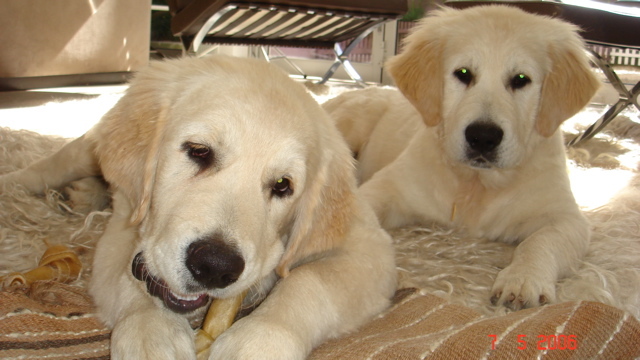 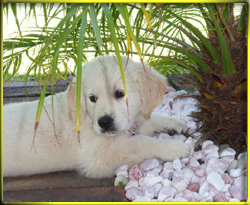 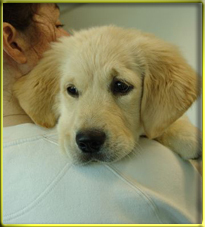 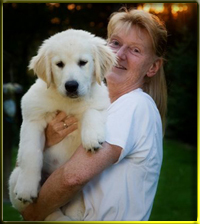 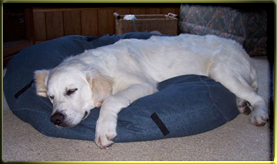 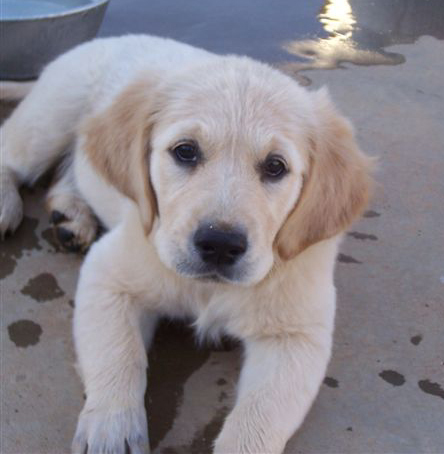 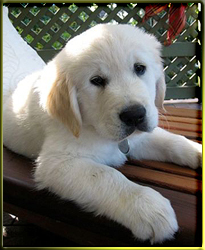 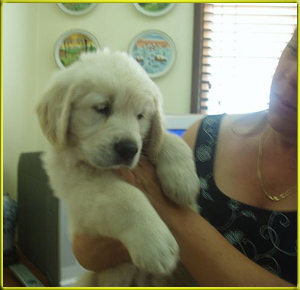 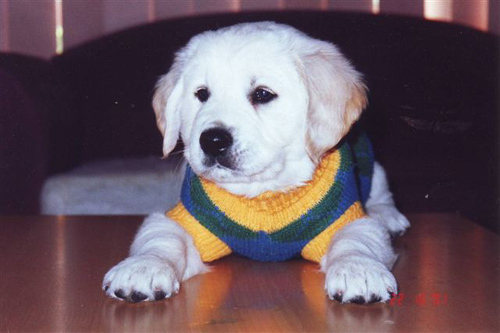 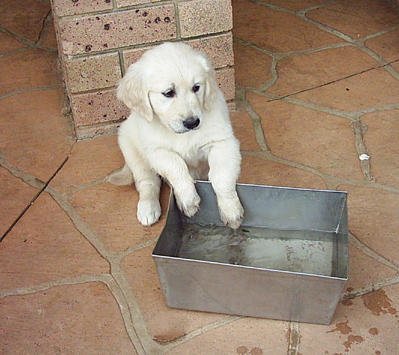 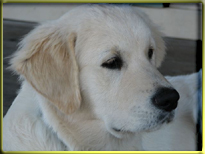 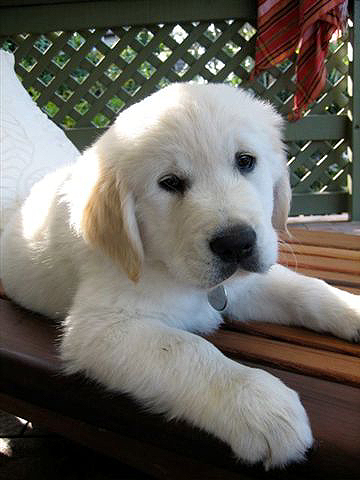 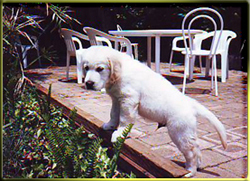 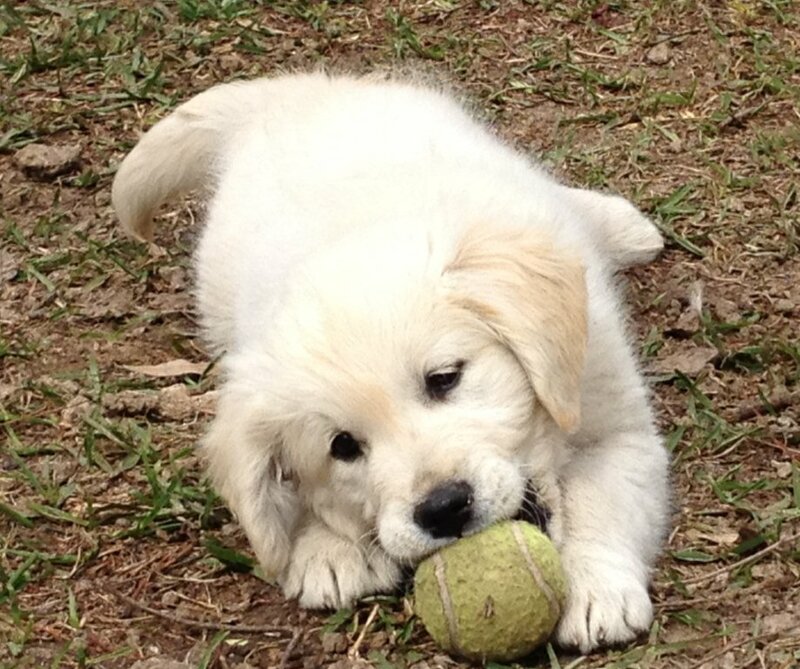 Parents (Golden Retrievers) hold all certificates for hips, elbows, eyes and heart. 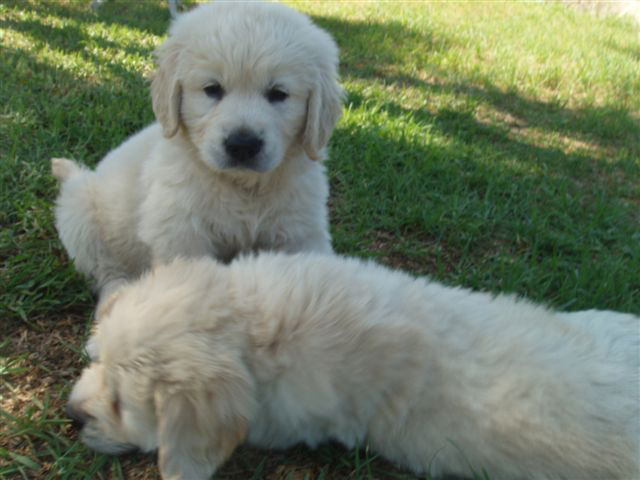 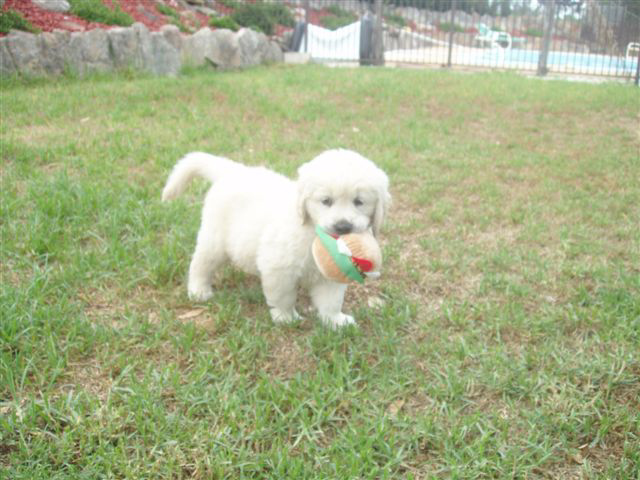 Puppies will be registered, vaccinated, vet checked, microchipped and come with Purina puppy packs and insurance. 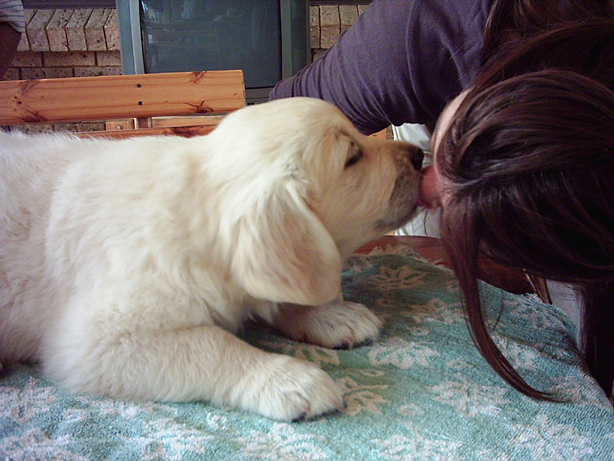 Meeting new mum, what a greeting! 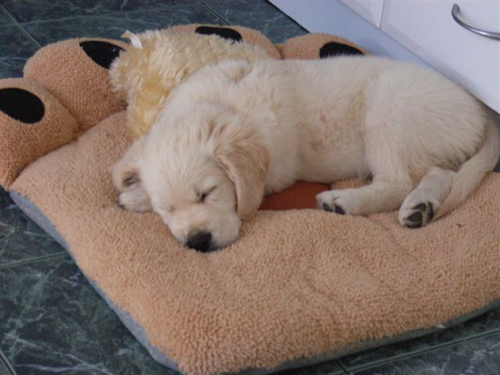 I bet your bed isn’t as comfy as this!